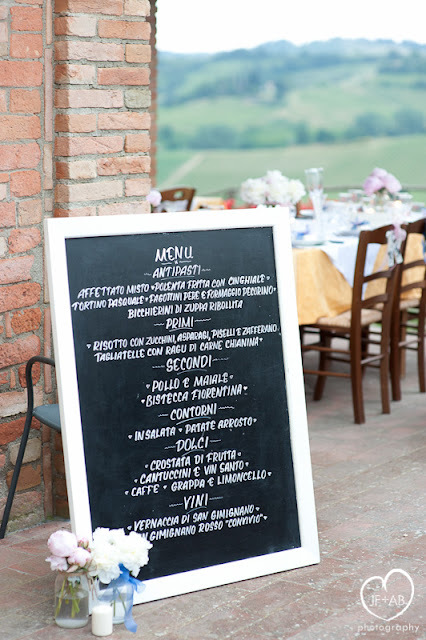 Definition: Agriturismo - a combination of the words for "agriculture" and "tourism" in Italian - is a style of vacationing in farm house resorts codified into Italian law in 1985. An agriturismo vacation is suitable for the whole family and some places even be very romantic or luxurious. 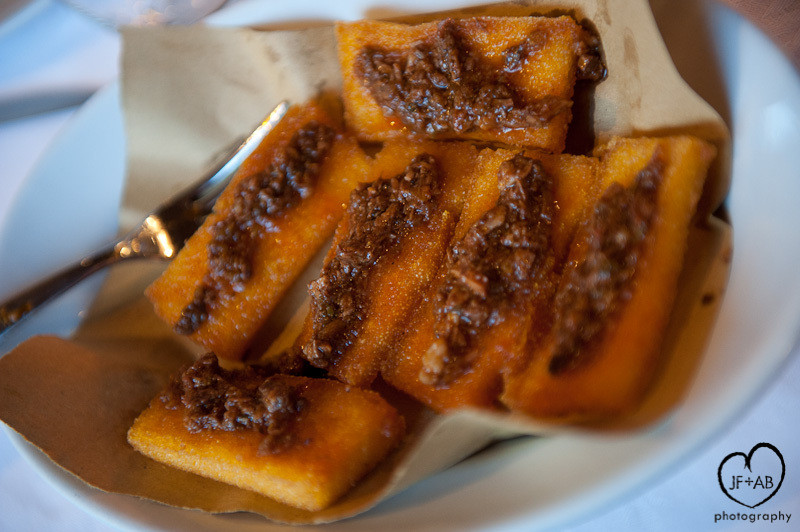 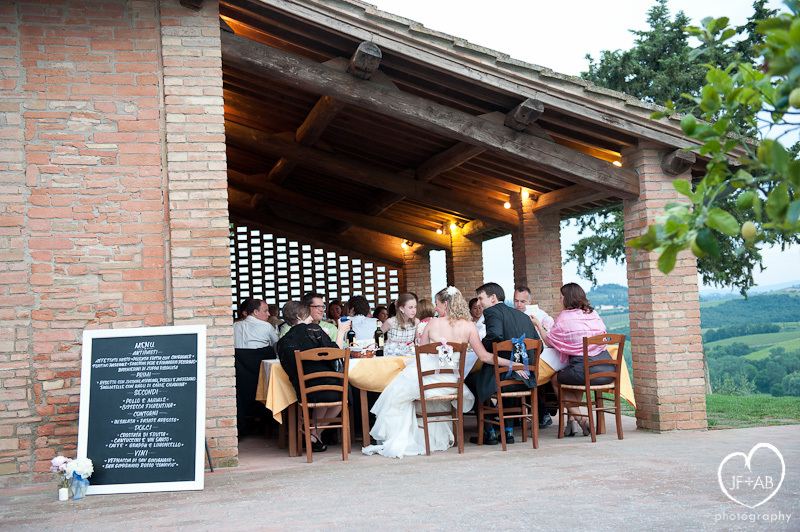 An Italian agriturismo will usually serve foods to guests prepared from raw materials produced on the farm or at least locally. 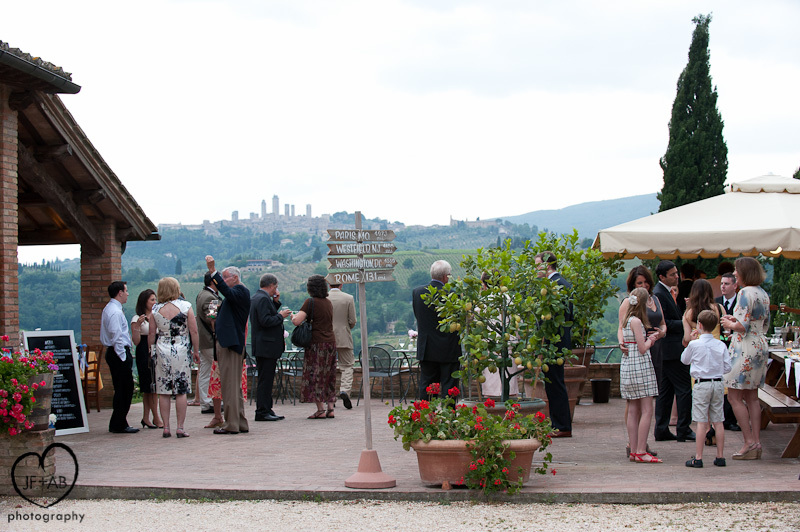 Some will allow the guest to actually participate in the activities surrounding the farm. 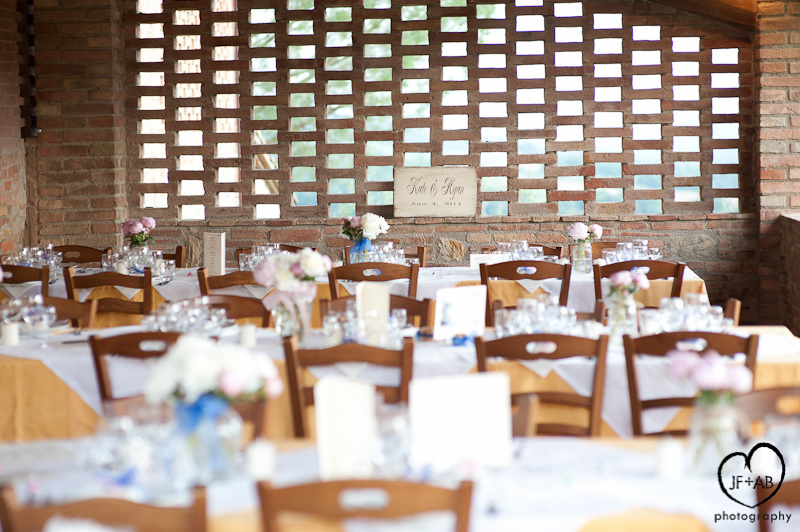 Despite the rural nature of the lodging, one might expect a rustic experience; yet many agriturismi (the plural form of agriturismo) feature rather luxurious accommodation as well as swimming pools. 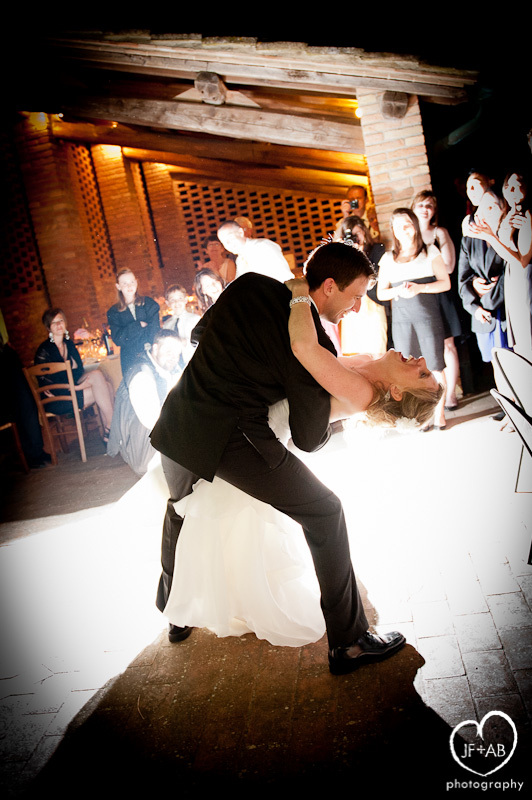 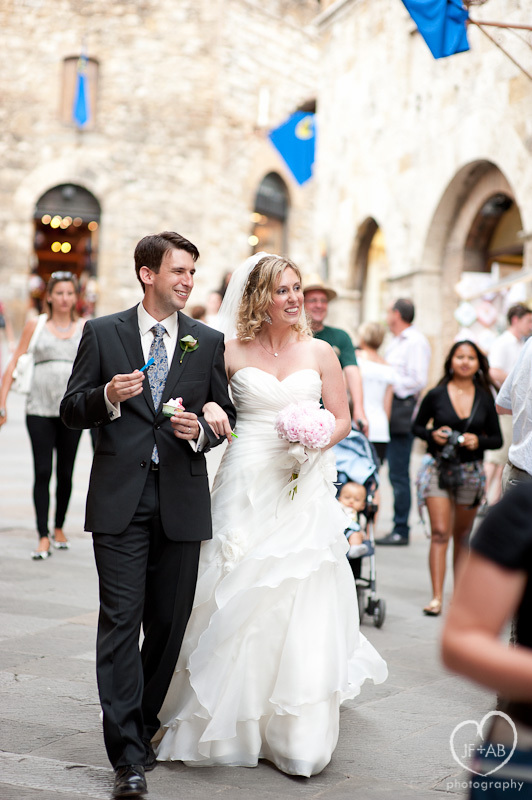 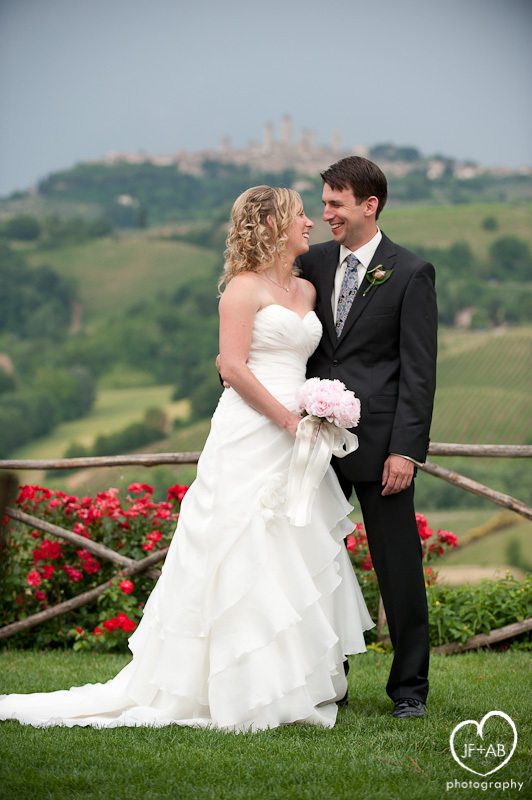 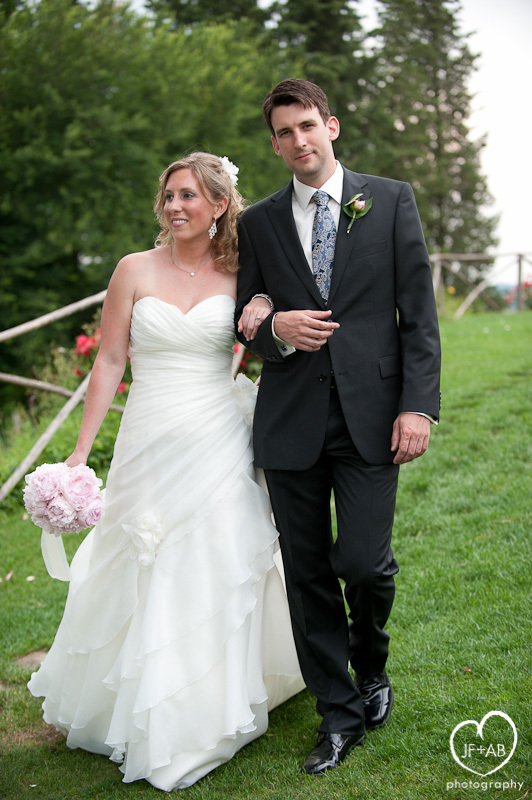 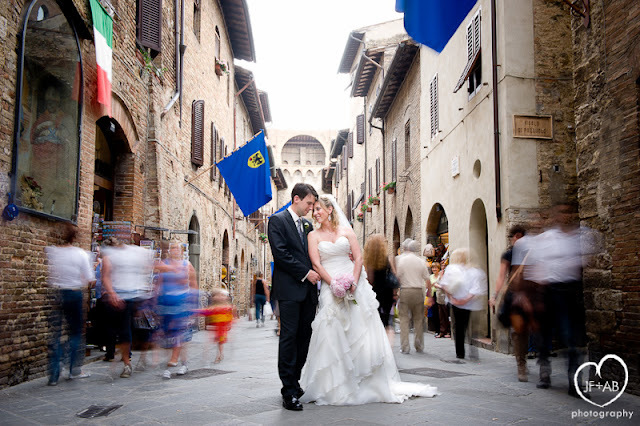 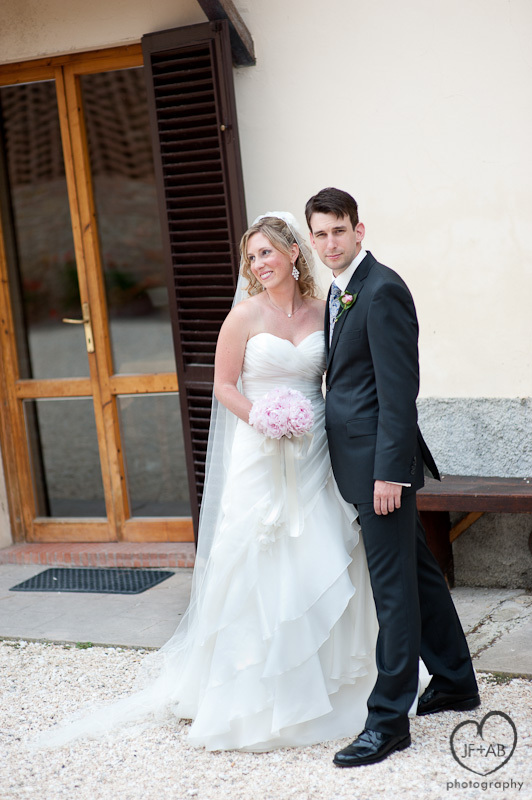 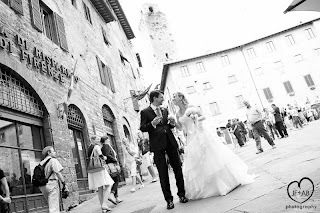 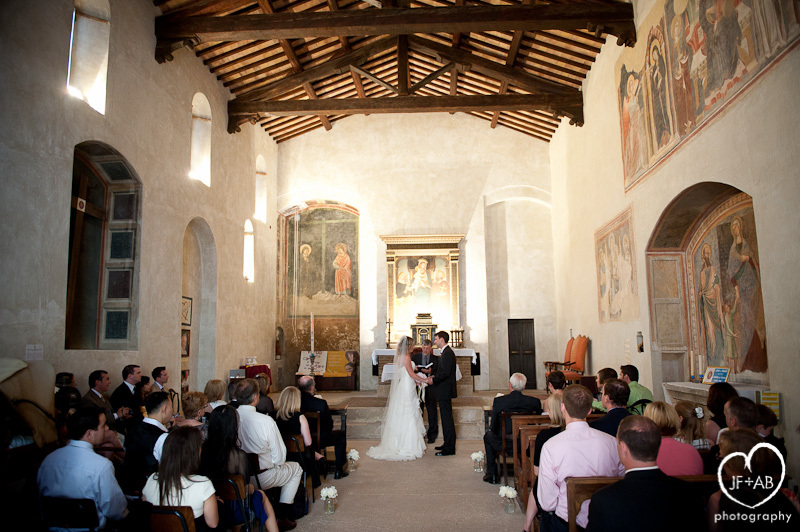 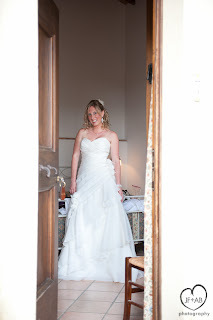 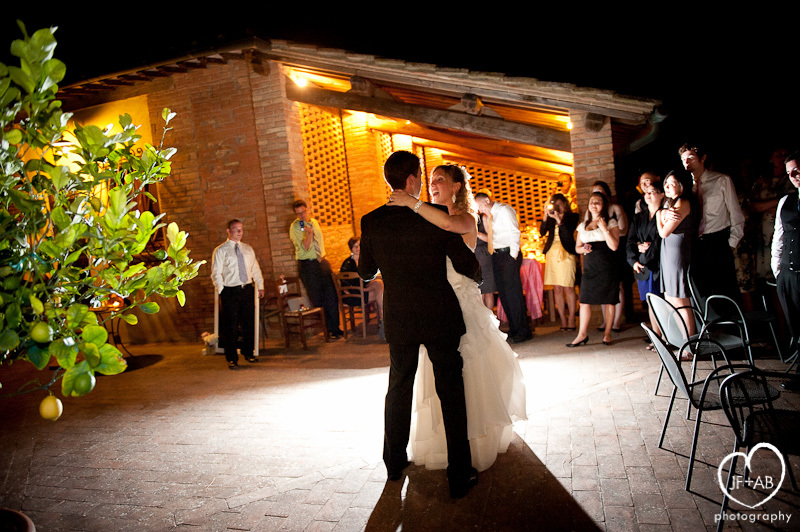 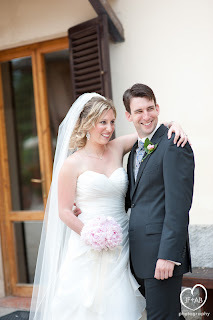 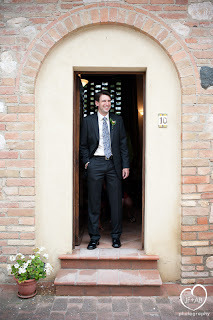 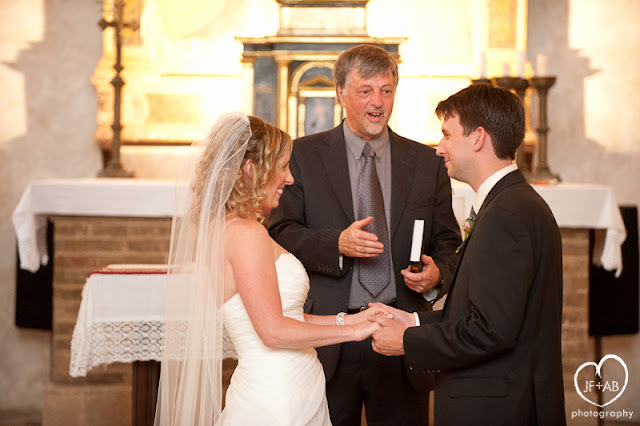 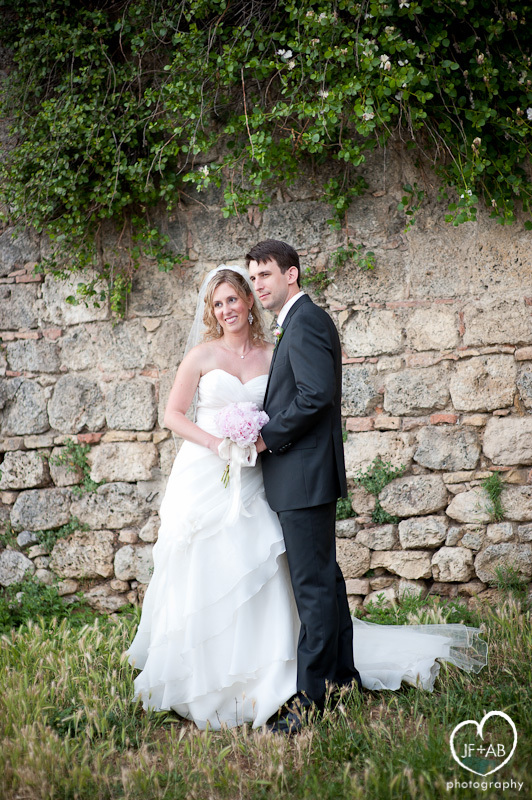 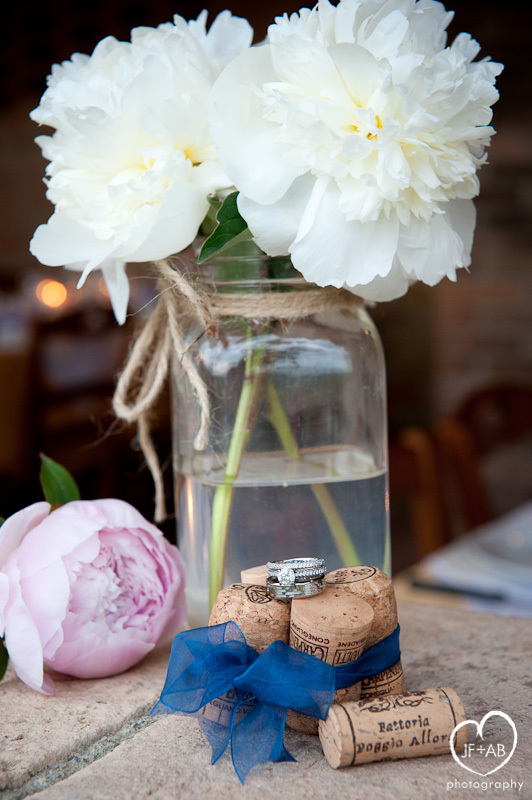 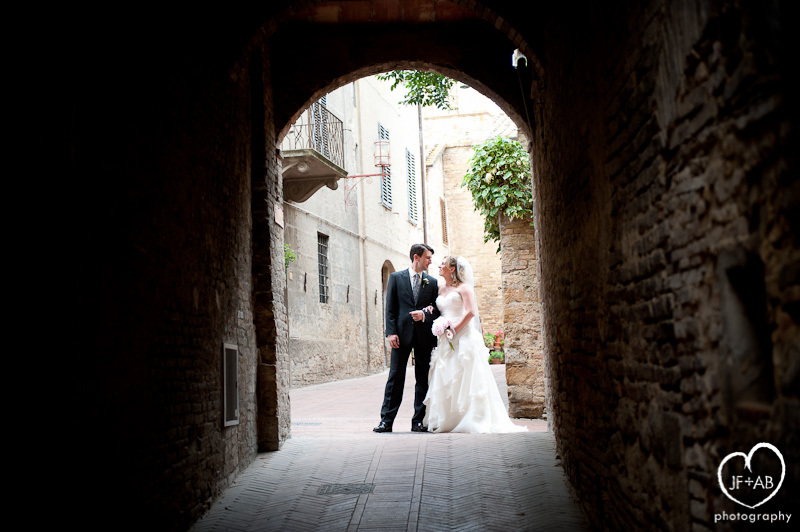 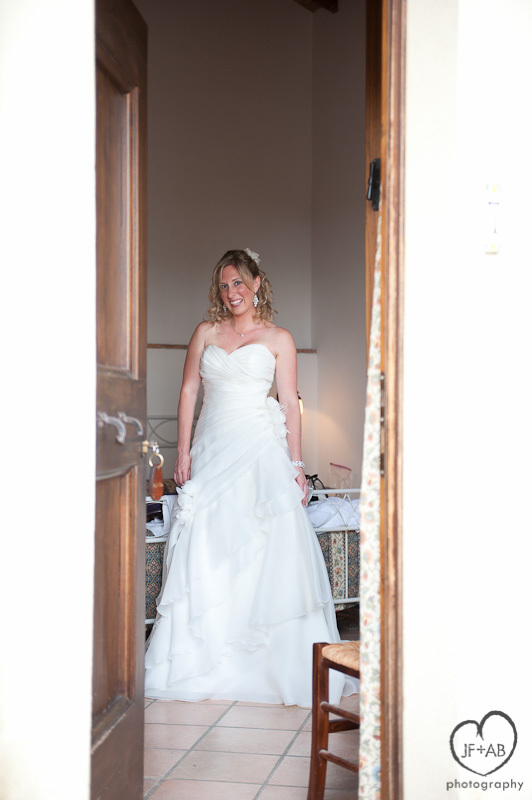 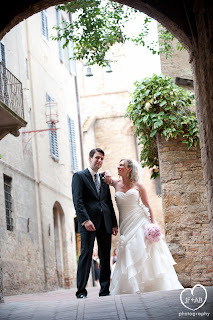 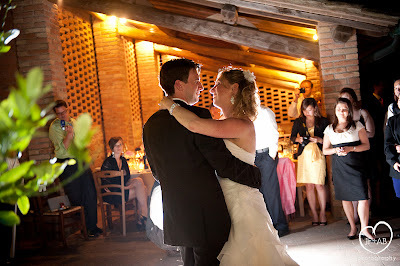 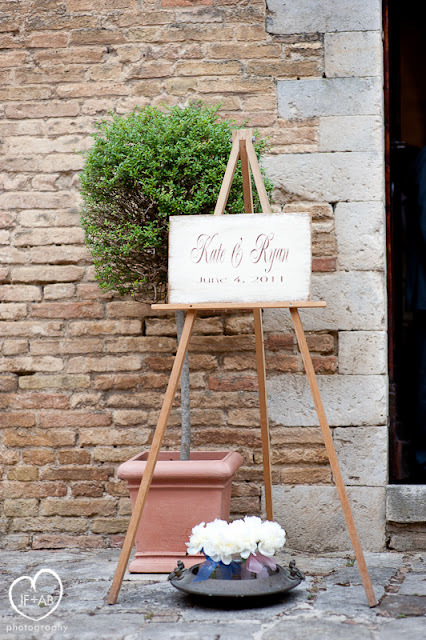 Kate and Ryan chose to host their wedding at an agriturismo in Tuscany. 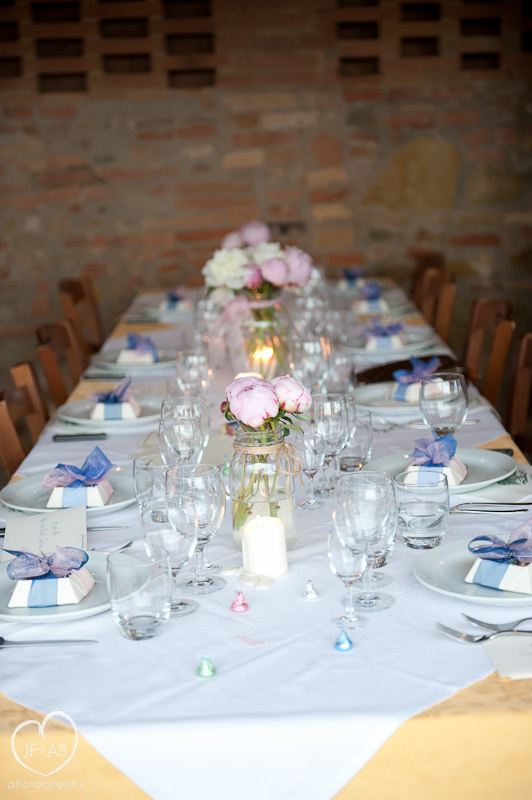 The couple chose agriturismo Poggio Alloro for its sumptuous farm-made cuisine and wine. This agriturismo boasts that it produces roughly 95% of all that is served to their guests. 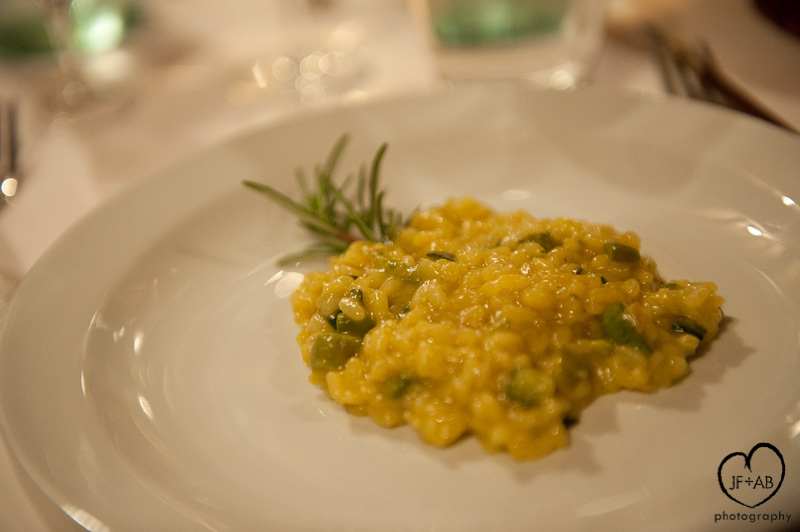 They grow the veggies they serve, the olives pressed for their oil, the wheat ground to flour for their pasta and they even produce their own saffron, one of the most expensive spices in the world thanks to its difficulty to produce in mass quantities. 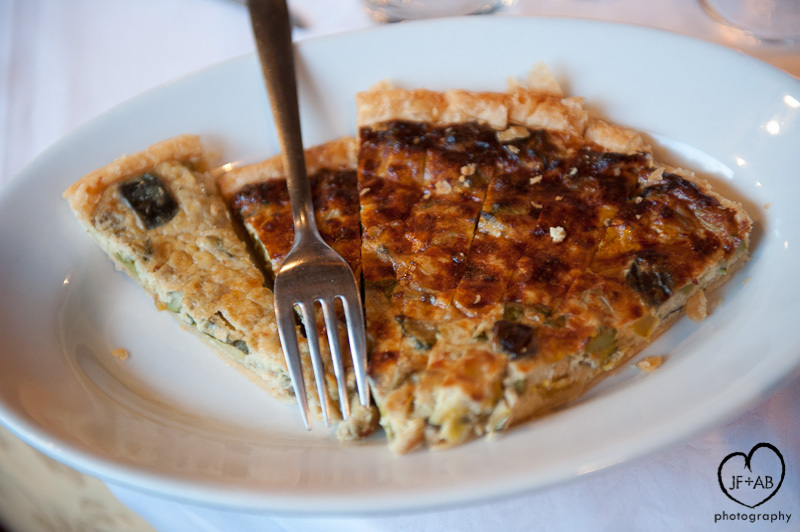 They also serve only farm-raised meat to their guests and raise their cows, chickens, rabbits and pigs on cereal grains they grow themselves. 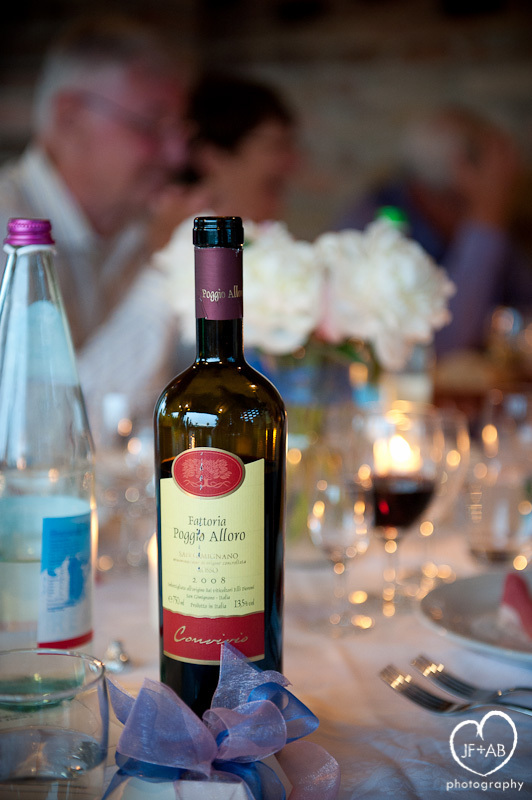 And last but certainly not least, they grow the grapes used to produce their very tasty red and white wines. They even make grappa, including a variety infused with their own saffron. 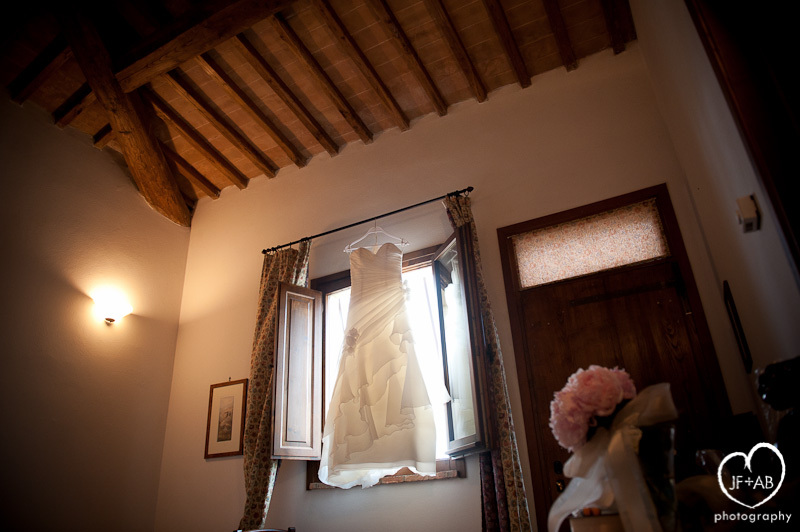 Did I mention that all this is done organically and according to the traditions of Tuscan culture? 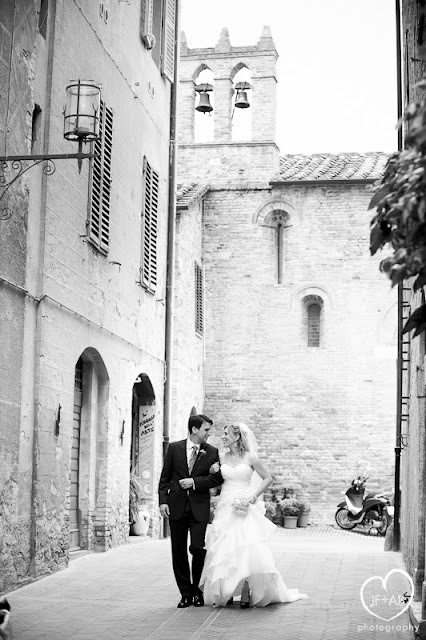 Another reason to fall in love with Poggio Alloro is its picturesque view of San Gimignano, a medieval walled hill town famous for its towers. 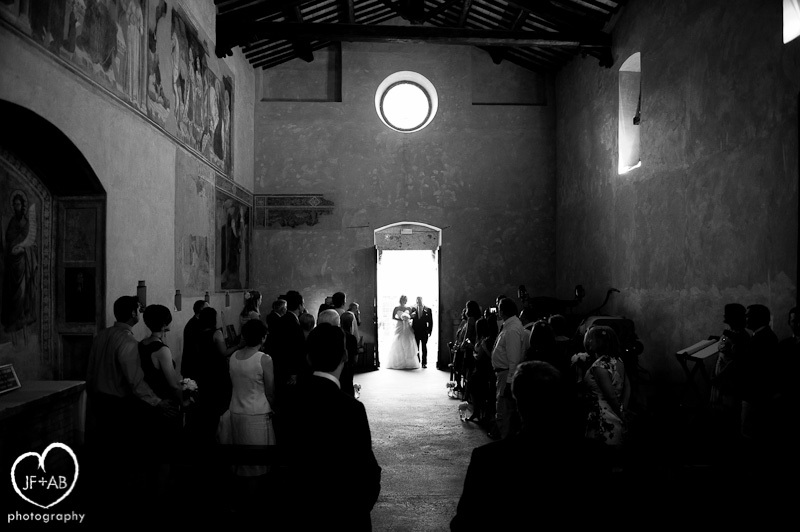 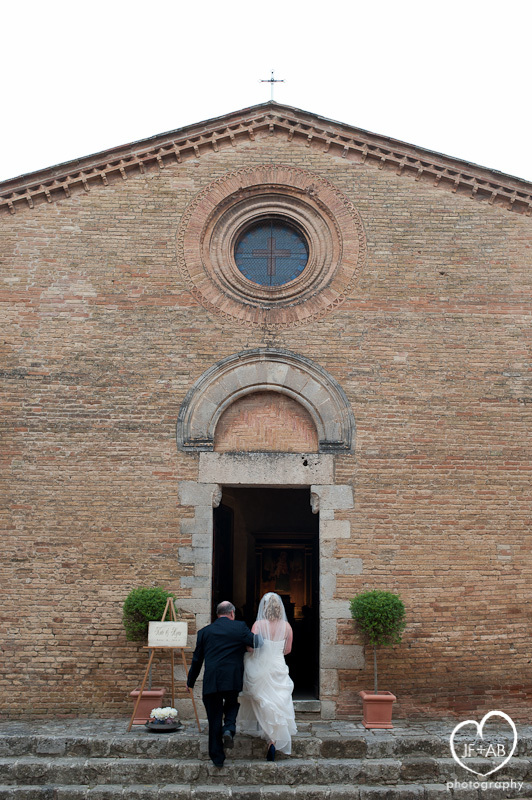 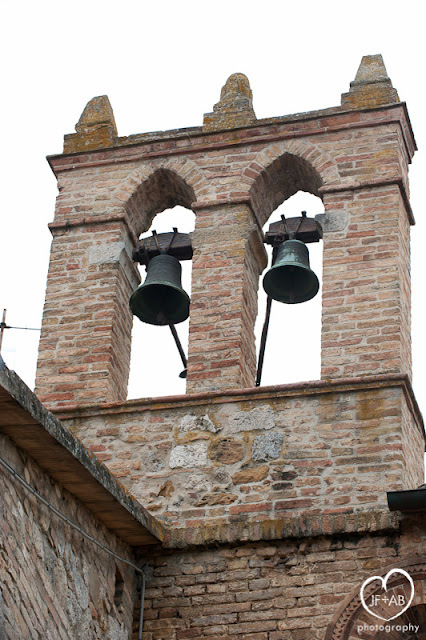 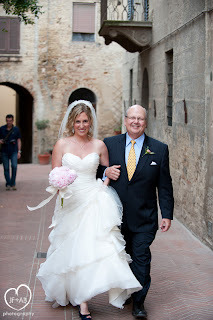 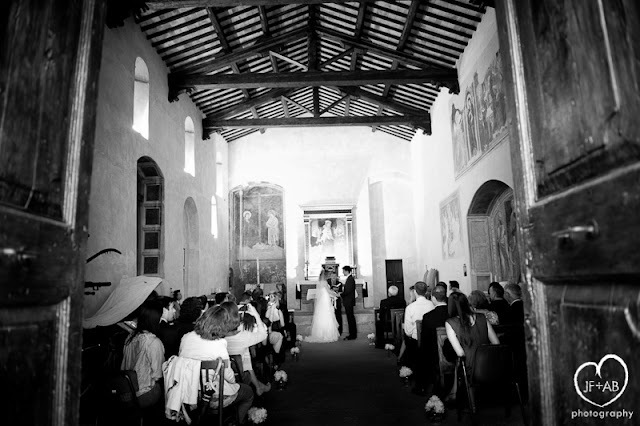 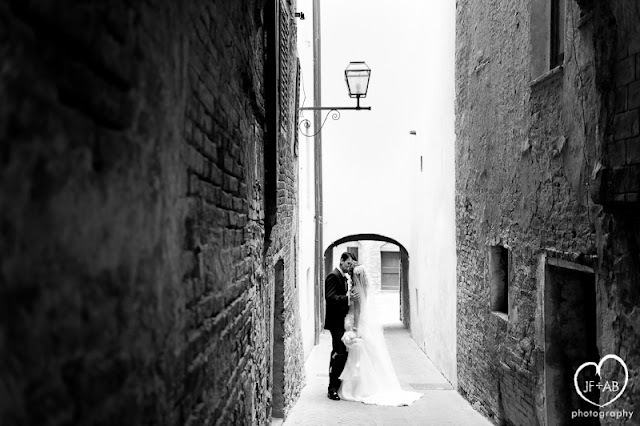 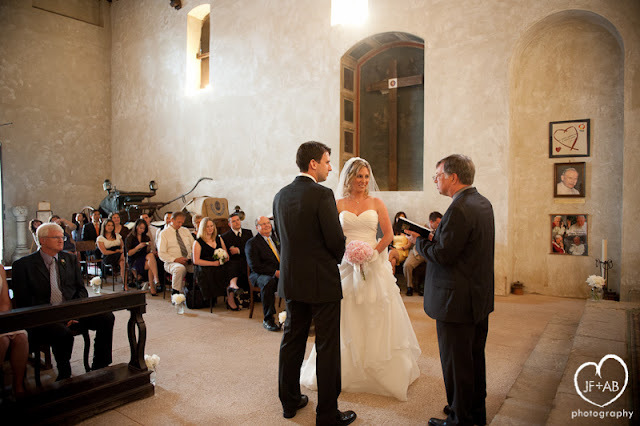 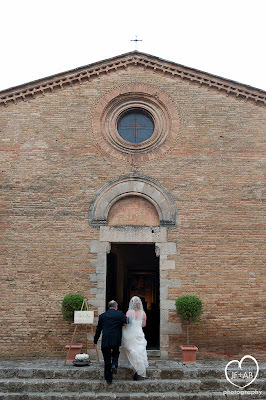 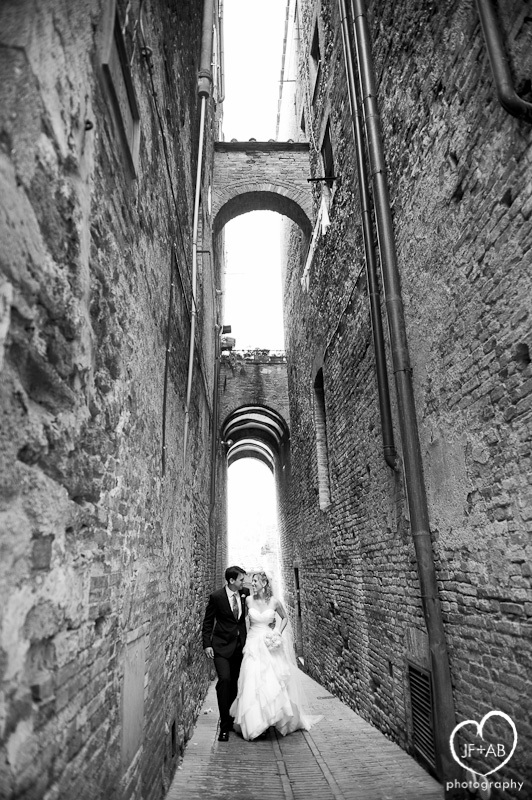 After getting ready at the agriturismo, guests traveled the short distance to the ceremony which took place at the quaint historic chiesa di San Pietro in Forliano within the walls of San Gimignano. 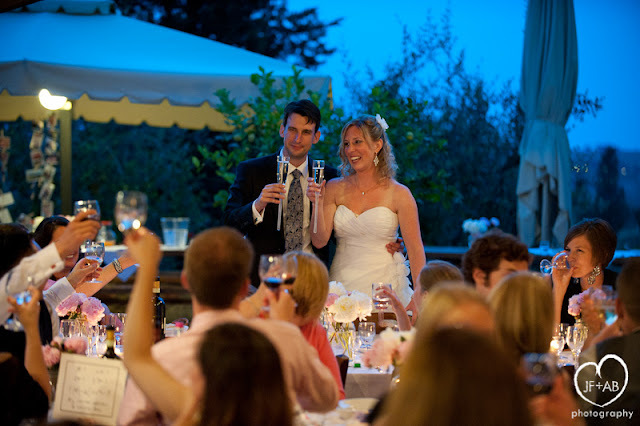 Tuscany wedding planner Elizabetta of Special Days in Tuscany was on board to help pull together all the ceremony logistics and help the day run smoothly (Thank you Elizabetta!). 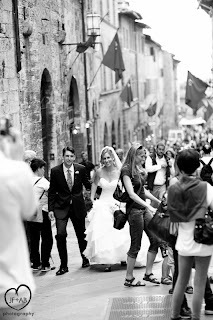 Following the ceremony, we walked from one side of the town to the other, taking portraits along the way. It was quite a contrast moving from the labyrinth of quiet alleys to the main avenue through the city crammed with tourists. 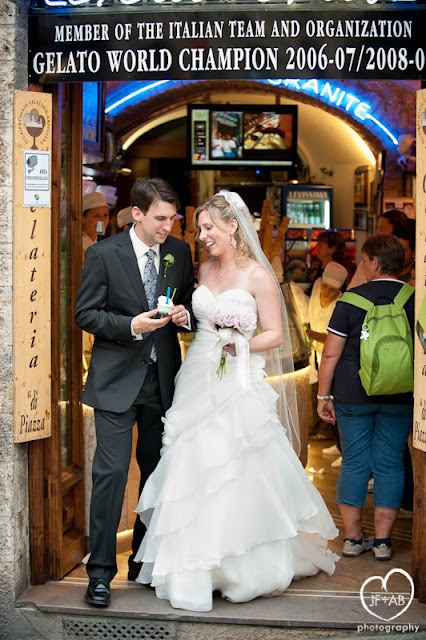 We stopped off at Kate and Ryan's favorite gelato shop on the way! And throughout these exquisite experiences and settings, Kate and Ryan kept it real. 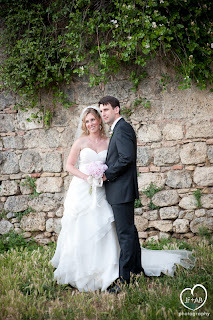 Their guest list was not overwhelmingly large so they were able to share some intimacy with their nearest and dearest. Kate and Ryan were cool, calm and collected all day long and seemed to truly enjoy each moment (something we observe in most of our clients thankfully). 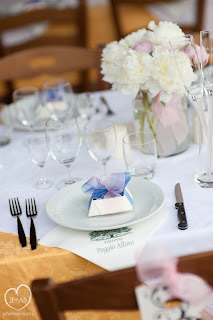 The details were great too. 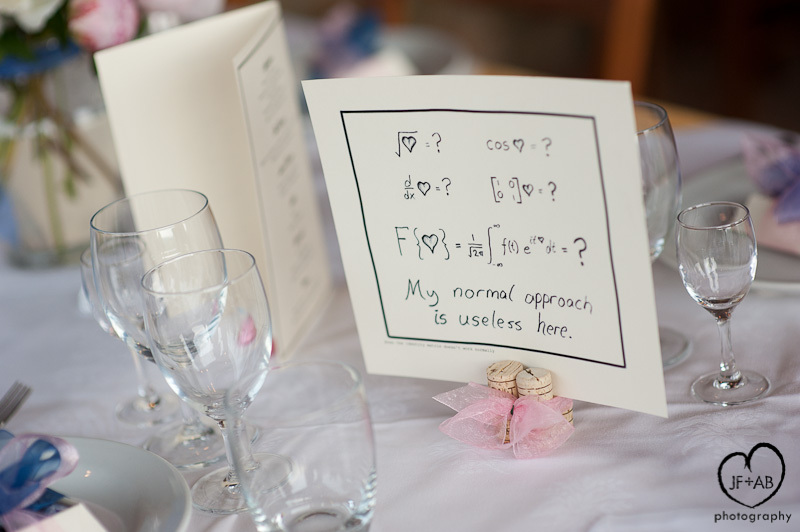 They are computer programmers by profession and they added personal touches throughout the day to reference this fact- like guest seating at tables defined by symbolic logic problems and binary code love notes embroidered on handkerchiefs for Ryan and Kate's dad. 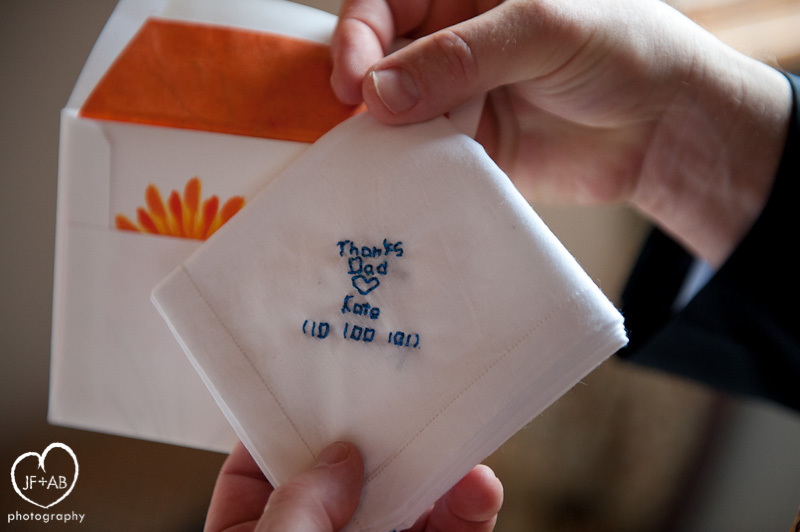 I love the incongruity of combining a traditional art like embroidery with a modern scientific language. 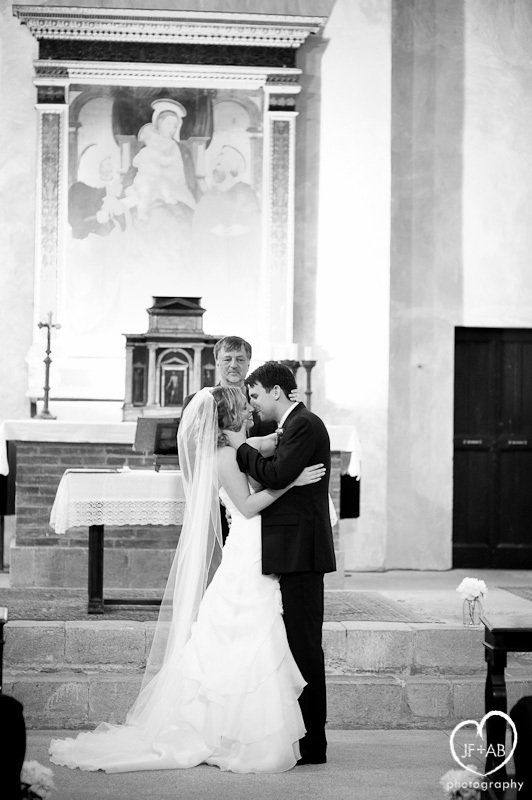 Kate and Ryan's wedding was a dream. 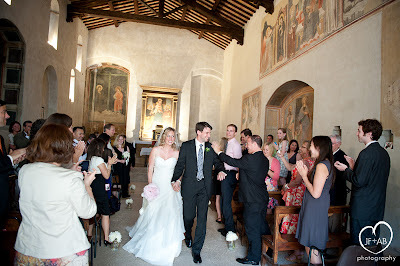 We are so glad they chose to have us along to photograph it. 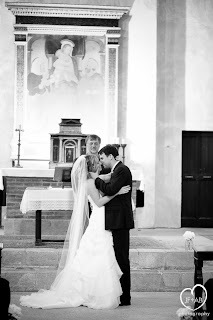 We hope the photos will help the experience live on in their hearts and memories. 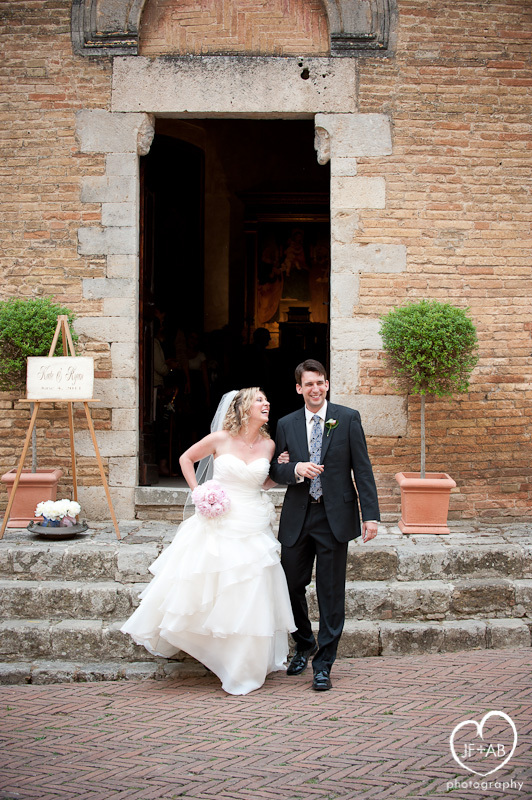 It was a fabulous day, one that we and that their guests will likely never forget. 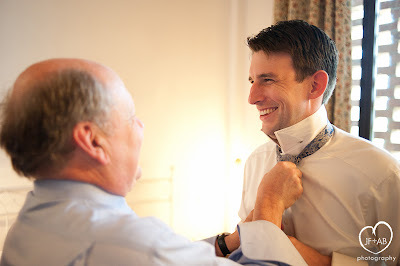 Scroll on to check out our favorite photos from the day. Prego!